DIY - Crazy Hat Day fundraiser! they’d paid. 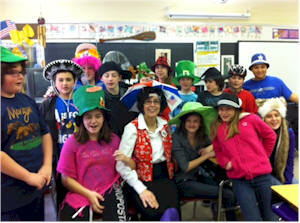 Winners are selected according to originality, creativity, and the hat that was most favored by students and teachers. You can have a panel of judges or let everyone vote. Regardless, it’s lots of fun! You can do the same with hair, shoes, etc.